Under the terms of the new multi-year agreement, Brighton, Michigan-based Nikon Metrology will help enhance Team Penske’s manufacturing process of its racecars competing in NASCAR, working closely with the organization’s fabrication department. Team Penske will also rely on Nikon Metrology’s superior optical instrumentation and resources to support its overall technical processes at its headquarters in Mooresville, N.C.
After working closely with Penske Technology Group in the past, Nikon Metrology is looking forward to the new challenge of partnering with the winning Team Penske racing program, which celebrated its 50th anniversary season in 2016. 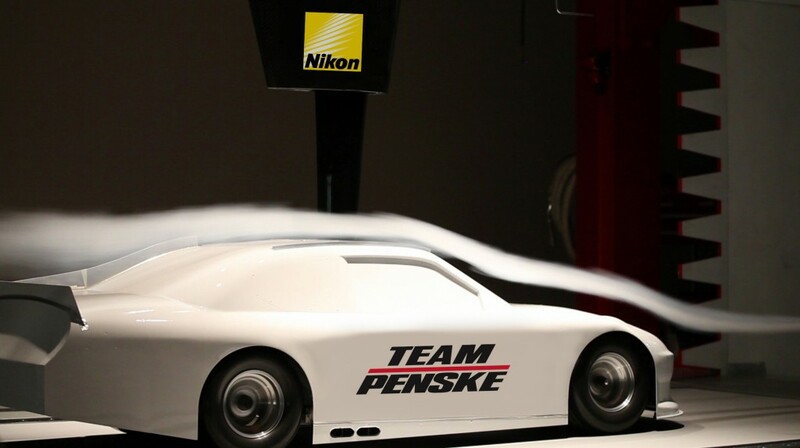 Nikon Metrology plans to incorporate the new partnership with Team Penske into the company’s future marketing and promotional efforts. Through specific case studies, Nikon Metrology will highlight how its equipment and support continue to raise the level of performance of Team Penske’s racing programs. Nikon Metrology offers the most complete and innovative metrology product portfolio, including state-of-the-art vision measuring instruments complemented with optical inspection and mechanical 3D metrology solutions. These reliable and innovative products respond to the advanced inspection requirements of manufacturers active in consumer, automotive, aerospace, electronics, medical and other industries. Nikon will be celebrating its 100th year anniversary in 2017 as a pioneer in optical technology development and product innovation. For more information, visit www.nikonmetrology.com. Product-related inquiries may be directed to Nikon Metrology, Inc. at (800) 552-6648 or sales.nm-us@nikon.com .